After a stellar 2018 that saw much success across the SAP Academy programs, Gold Coast United’s Head of SAP Jamie Dixon is confident that season 2019 will see the club’s SAP teams once again among the best in Queensland. 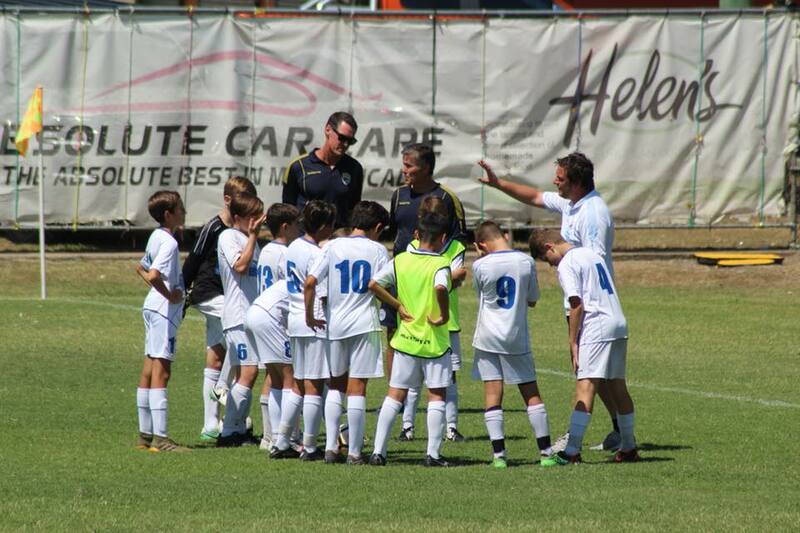 Dixon joined the Club mid-way through 2018 from the Brisbane Roar where he was the U8-12 co-ordinator working with talented young footballers, introducing new initiatives to assist their development. His arrival at United saw the establishment of the club’s Talent Centres to compliment the club’s junior development strategy which provides young players an additional training session a week at ‘SAP’ intensity while still playing for their local club. Another who acknowledges the valuable role that Dixon plays at United is Kevin Grima, the FFA Boys Youth Development Manager. The two met again recently when Jamie attended another leg of his ‘FFA’ Licence’ assessment in Canberra. “As part of his practical coaching delivery, Jamie showcased one of his unique cognitive games to the candidates, which helps develop ‘thinking players’. “The future looks promising for players in the Gold Coast region with a games based SAP program that is fun and challenges players to make decisions for themselves. Young players in the region are certainly in good hands with Dixon overseeing junior development at the Coast’s premier youth development club. And with 2019 Talent Centre trials set down to start next week there’s still time to register to participate and position yourself to make the next step into the club’s SAP program.